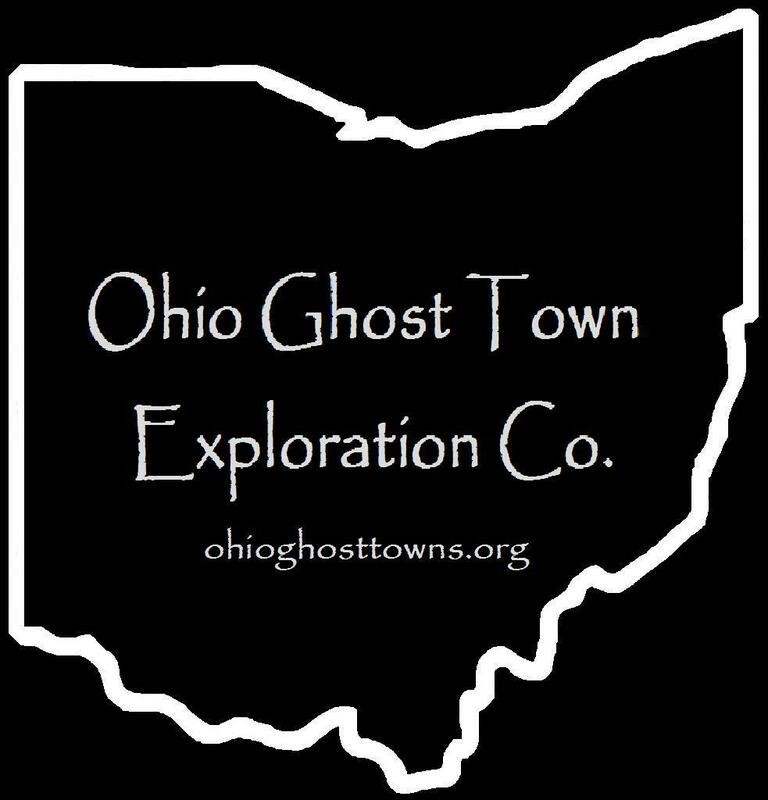 Union County – Ohio Ghost Town Exploration Co. Description: Buck Run was one of the oldest towns in the township. Many pioneers & War Of 1812 Veterans were buried in the cemetery. Description: The town founder & postmaster was Joseph Coberly. It’s listed in several state gazetteers printed during the post office dates & was 2 miles from Lewisburg, 4 & 1/2 from Middleburg, 7 miles from Milford Center, & 10 from Marysville. Description: It was platted with 21 lots & a public square in 1838 by Jonathan Haynes. The lots didn’t sell well & town wasn’t around long. Description: Homer was platted with 35 lots in 1834 by Elisha Reynolds (1779 – 1843). He arrived from New York in 1817 with his wife Mary (Witter) Reynolds (1781 – 1828). They had 7 children & Elisha was a successful merchant & county treasurer for two terms. The town thrived in its early years but never had a big population boom & was last seen in the 1877 Union County Atlas. Elisha & Mary were buried with relatives in Milford Center Cemetery on Middleburg – Plain City Rd. Description: Kokosing is listed as a ghost town in several places online but it’s just the former name of the post office at Magnetic Springs. Description: This first village in the county was platted in 1797 by Lucas Sullivant (1765 – 1823). The only lots that sold were purchased by James & Joshua Ewing who were county pioneers & lived there with some other family members in three cabins. They moved to Jerome Township around 1800, abandoning North Liberty. Lucas Sullivant also platted Franklinton (Columbus) & has a road named after him there. Description: The original proprietors were Samuel Robinson (1814 – 1886) & James Robinson (1811 – 1898) who arrived in Ohio from Connecticut in 1800. They met Lucas Sullivant in Tennessee, joined his surveying party on its way back to Ohio, & purchased 600 acres of land in Darby Township. Samuel was a carpenter, James a cooper, & they farmed & planted corn together. Both later married & their brothers Thomas, John, Alexander, & George also settled in the area. The Robinsons grew to be one of the largest & most successful families in the county. Samuel & James were buried with relatives in Mitchell (Robinson) Cemetery at the intersection of SR 38 & Burns Rd. Description: Taylor Centre had a saw mill & a school. Many of the residents including Harvey Goff (1814 – 1884), who owned the saw mill, were buried in Broadway Cemetery on the south side of SR 347 east of the GPS coordinates. Description: Although the post office had been closed for a few years, the town was listed in the 1853 W.W. Reilly & Co.’s Ohio State Business Directory for 1853-54. Description: The town was founded by Beriah Wilkins (1792 – 1858) & Amanda (Rhodes) Wilkins (1797 – 1877) who owned 77 acres of land on the east side of the GPS coordinates. Beriah was also the postmaster & the Presbyterian congregation was organized at their house in 1839. Its church stood next to East York Cemetery where Beriah & Amanda were buried with relatives. Description: Its proprietor was a D. Williams & the town can be found northeast of York Center in the 1877 Union County Atlas. There isn’t much info online about Chuckery. It’s been a settled area since the 1820s but now appears to be more of a hamlet than a town. Chuckery did have a few schools & churches over the last couple of centuries but that’s about it. We couldn’t find any record of the town ever being platted & it never had a canal, railroad, or big businesses to make a population boom. The largest family in Chuckery’s early days were the Bigelows. They were relatives & descendants of Isaac Bigelow (1759-1822) who founded the nearby town of Plain City. One of his nephews, Elphiaz Bigelow (1802 – 1864), constructed the Bigelow House which still stands on SR 161 close to the intersection of Ax Handle Rd. In 1873 Bigelow Covered Bridge was built crossing Darby Creek to provide a direct link north to Marysville & was named after Eliphas. The bridge has been restored & is highlighted by Ohio Historical Marker #12 – 80. Chuckery had a post office from 1898 – 1903, which probably marked the end of its heyday. Eliphas Bigelow was buried in Bigelow Pioneer Cemetery with many of his relatives & other early families from the area on Rosedale Rd, south off of SR 161. The surrounding land is owned by the state & is called Bigelow Cemetery State Nature Preserve. Irwin was founded by John Irwin (1762 – 1830) & Anna (Steel) Irwin (1764 – 1854) who moved to Ohio from Pennsylvania in 1806. The town started to go by the name of Irwin in 1808. James Miller (1797 – 1891) was a carpenter & cabinet maker. He built the first house in town & spent over 85 years in Irwin but later moved to Champaign County. The town’s name temporarily changed to Irwin Station when it had a train station on the Big Four Railroad (Cleveland, Columbus, Cincinnati & Indianapolis Railroad). Farming was Irwin’s biggest industry for a long time & the town shipped hay, straw, & lumber to other places around the state & country. During the late 1800s, Irwin had a sawmill, blacksmith, church, general store, a concrete block company, & a large number of shops & stores for a town its size. In 1903 a massive two story brick school was built in the small town. It still stands today & is an extremely interesting & creepy sight at the intersection of SR 4 & SR 161. There are also several other old buildings & residences in the area. Irwin’s post office was established in 1858 & continues to operate, but rumors are going around that it will be discontinued soon. The town still has a church too, but all of the old businesses are gone & Irwin was never incorporated. John Irwin unfortunately died from falling off his horse in 1830 & was probably buried on his farm. Anna & some of their descendants were buried in Milford Center Cemetery on Middleburg – Plain City Rd about 5 & 1/2 miles north of Irwin. The town’s population was around 125 in 1885 but is probably smaller than that today.